This award is a way of finding new blogs and getting to know smaller blogs, if your nominated just take the badge/button above and post it on your blog! What’s your favourite reading drink? Paperback forever! I do buy hardbacks if they are my favorite books or if it is a first edition but I hate carrying them around there bulky and akward and I drop them on my face more the I’d like to admit. What made you want to start a book blog? Do you prefer borrowing from libraries or buying books? How do your organise your bookshelves? Organise? hmm I’m not sure I know that word sorry. No, really I’m currently renovating so my books are everywhere until my new bookshelf is built and then I think it’ll be by series and author. What is the last book that made you cry? November 9 by Colleen Hoove, I cried all the tears, happy, sad, angry, happy it was like a never ending cycle. What book is next on your TBR? I just started reading Rebel Belle by Rachel Hawkins so Miss Mayham will be my next book after this one. 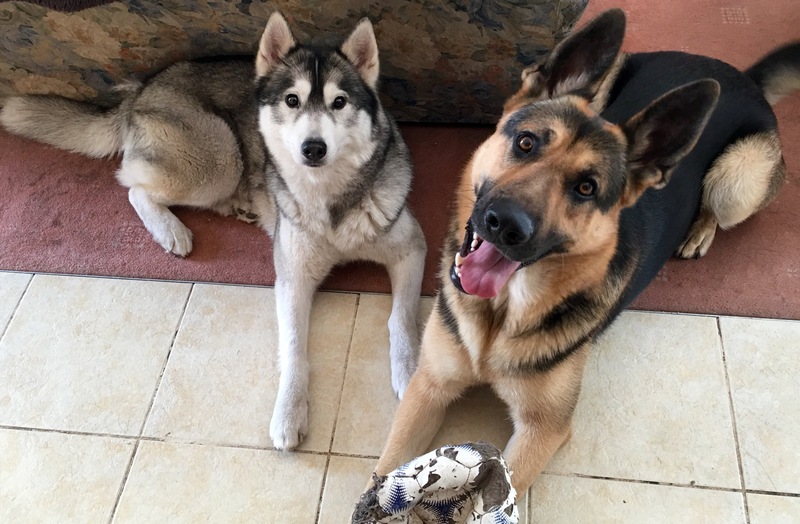 I own a Husky named Mia and a German shepherd named Sarge and they are my babies! I have been with my Partner since I was 14 I am now 21 and we own a house together. I would love to write a book but I get so overwhelmed that I never get past page 1. I love scary rides, anything with Adrenalin involved I’m in. My proudest achievement to date has been running 5ks in 22 minutes and receiving the keys to our house. I finish a lot of books in one sitting! I read everywhere! Eating lunch, on the train, in the car (as a passenger), cooking diner, walking, on my exercise bike on my tea breaks, while watching TV. Seriously guys any spare time I have I’m reading that’s how I read 10-15+ books a month. YAY part 2 done! I’m sorry to anyone else that tags me for this award but I don’t think I’ll be able to do it, I don’t have anymore Facts about me to give! What Author do you own the most books from? A book you hate that everyone else loves? If your house was flooding and you could only fit 5 books into you backpack to save them what would they be? Who do you like more? Batman or The Joker? Superman or Spiderman? Iron man or The hulk?